Demo of how to display two scales on the left and right y axis. 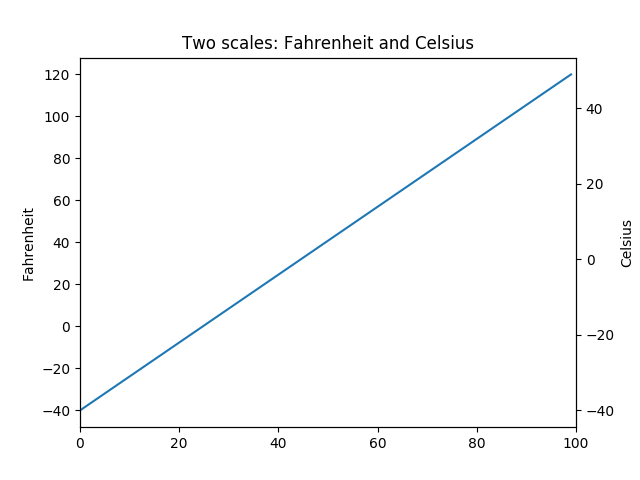 This example uses the Fahrenheit and Celsius scales. Update second axis according with first axis.